Conceived by fashion designer and creative director Gary Harvey, this collection set out to prove that recycled clothing can be beautiful, innovative, and enchanting. 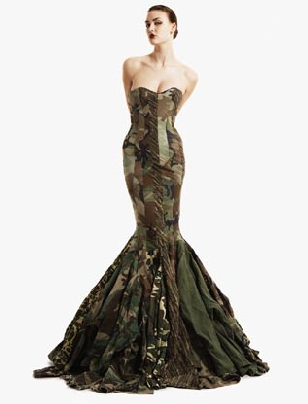 The couture-inspired collection, which was shown at London Fashion Week back in 2007, features gowns made entirely from recycled materials: 42 pairs of Levi’s 501s, 37 black tees, 30 copies of the Financial Times, 28 camouflage army jackets, 26 nylon baseball jackets, 21 laundry bags, 18 trench coats, ten pre-owned wedding dresses, and seven Hawaiian shirts — to be exact. It seems that the original colors, textures and shapes of the reclaimed materials did much to inspire the silhouette of the final pieces themselves. 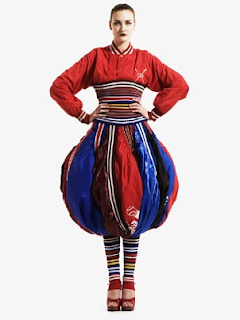 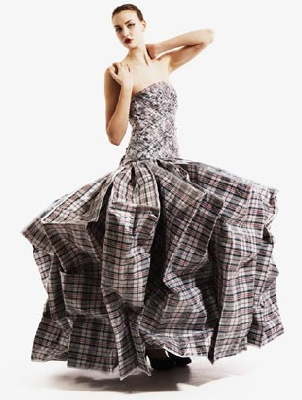 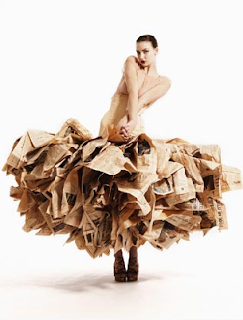 I SO love recycled fashion...this is delightful!